Paul Weller & Friends Visit THE Rooftop! – Paul Weller News! 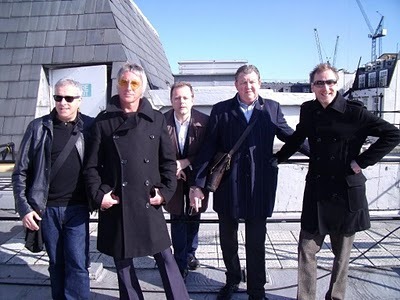 Paul Weller & Friends Visit THE Rooftop! Courtesy of the best gentleman you can imagine, Mark Baxter. Seen At Yann’s Cornershop Of The Man! Previous Entry Paul Weller To Play Bilbao BBK Festival In Spain! Next Entry Paul Weller’s Video For The Single, "Wake Up The Nation!"